The banks are so powerful that they can actually create rules that have the effect of law. For instance, PayPal closed my account because they did not approve of the merchandise that I sold. Mostly prepper gear, self defense, storage food, knives, and security cameras. Pretty nasty stuff in their eyes. Some credit card companies actually refuse to process credit or debit cards for a store that sells guns that are protected by the second amendment. The banks don’t pass a law, they simply make it extremely difficult for a business to get paid. Take Zions Bank for example, which is a wholly owned subsidiary of a church. It’s practices and policies are patterned after the money changers that Jesus Christ threw out of the Temple. I was charged $8 at Zions Bank as a fee for making a cash withdrawal from my MasterCard. They also charge a fee to accept rolled coins. Their excuse is that all of their employees only have a double digit IQ and can not be trusted to count and so they use a machine which never makes mistakes and the fee is to pay for the machine. Of course, in their effort to worship their one true God, Satan, they contribute hundreds of millions of dollars into the campaign funds of dedicated Disciples of Satan, otherwise known as democrats, socialists, Marxists, progressives, and traitors to God, Freedom, and this nation. 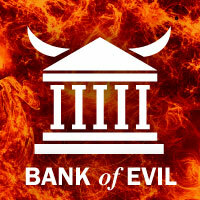 Banks trade on temptation, a tool of the devil (if you believe in that sort of thing). They are evil. People get into debt head over heels because banks make it so easy to do so. Then the banks come along and act like these people who can’t or won’t pay their bills are the dregs of society. They sell loans to collectors, and collect loans themselves, and resell loans, each time tacking on charges and fees. So, if you started out with a $20,000 college loan it’s quite reasonable, in our society by and for the wealthy, that you could owe the lenders 400% in interest charges accumulated over the years. Can’t make your payments? No problem. The interest charges keep on coming. 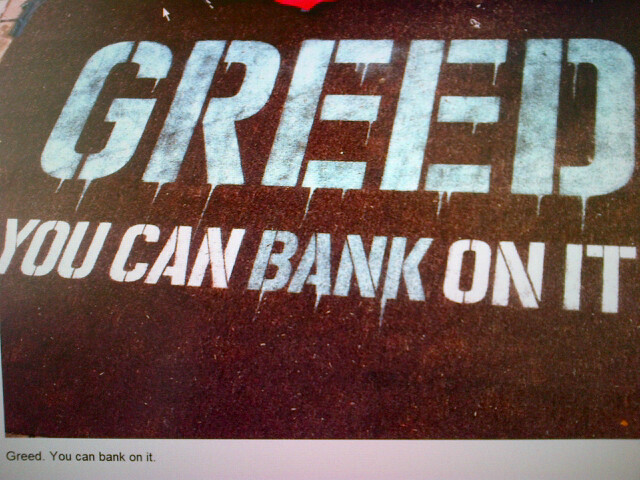 In fact, banks prefer it that way. More money for them. The government guarantees it. Naturally, this leads one to ask “Where can I earn income on the side that will surpass my main source of income within 3 years, where I get paid in cash weekly, and it is perfectly legal in all 50 states? You can take a FREE Tour of the business that I recommend here. NEXT POST Next post: Has MDC Hempworx CBD Oil reached market saturation?